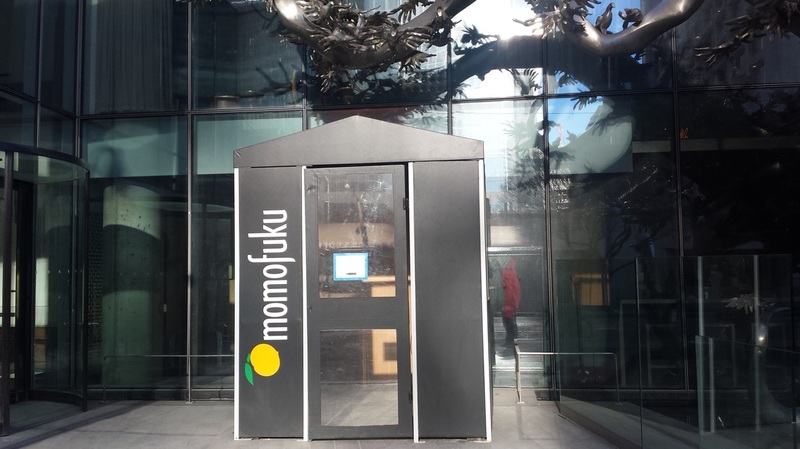 Momofuku means lucky peach in Japanese. After watching the 1st season of the TV series Mind of Chef, I was intrigued by David Chang's outlook on food. I received his book as a gift for Christmas and have tried a few of the recipes, they all turned out excellent. David's philosophy is simple but tasty and he has no issues with eating instant ramen noodle! 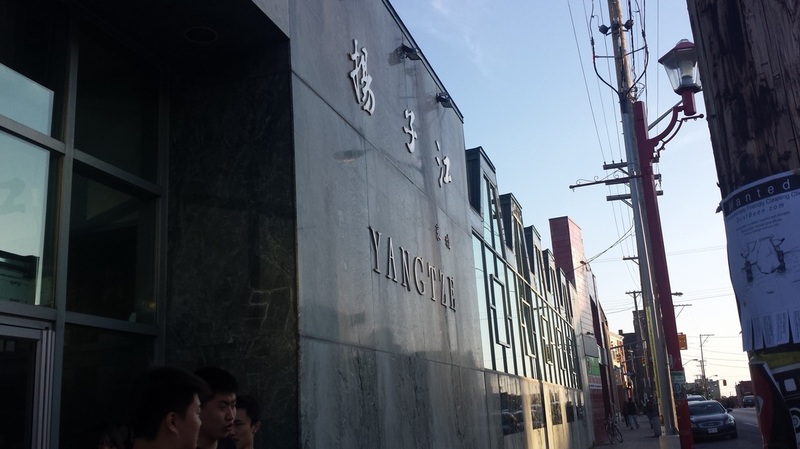 So while I am in Toronto I had to go try his noodle bar (it's the first floor of a multi-floor food project, there is a milkbar that does desserts and the other floors have other food related things, those don't interest me). It really is a bar, part of it is a bar and there are tables where groups can sit. I sat right at the bar and got to see the cooks in action, they really keep the food flowing. 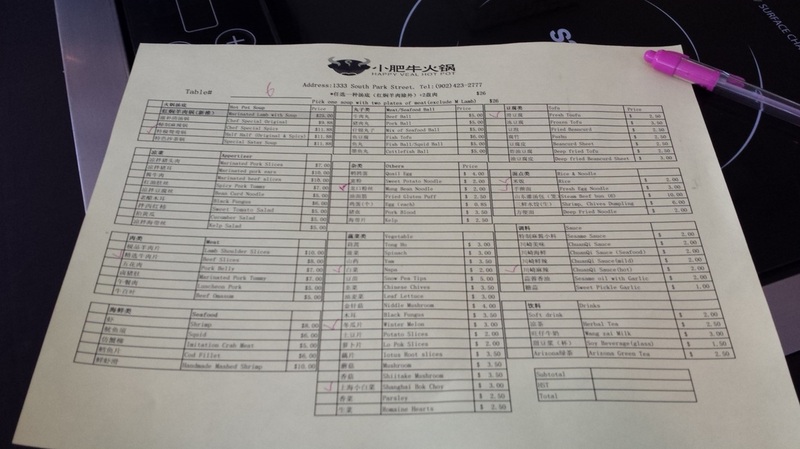 I was told the menu changes but there are set items. 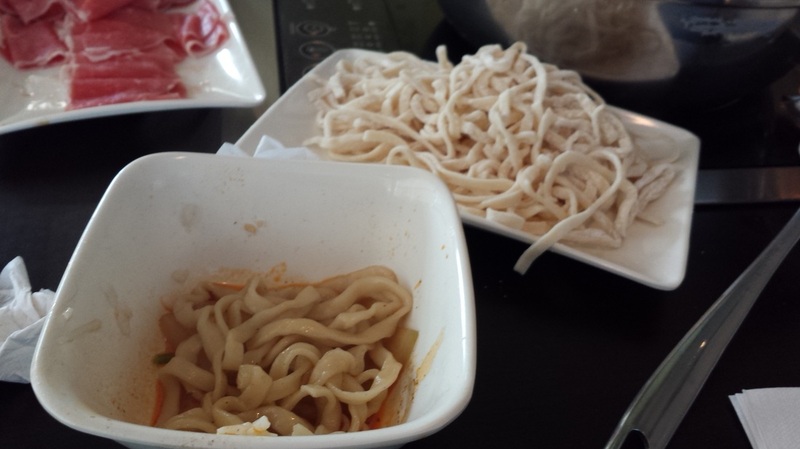 I ordered the "extremely spicy noodle" for $13 and an order of his famous pork buns for $10 (2 buns). The waitress warned me that the spicy noodles were hot and they were hot, nothing too crazy but they do serve it with a small glass of milk to help cut the heat for those who don't listen LOL. I enjoyed the noodles but I think I should have ordered the momofuku ramen as I thought the spicy noodles came in a broth, I may still go back and try it if time permits. The spicy noodles were flavorful and at the bottom there is a small bit of kimchie, the scallions and cut up red thai peppers really make the dish pop. 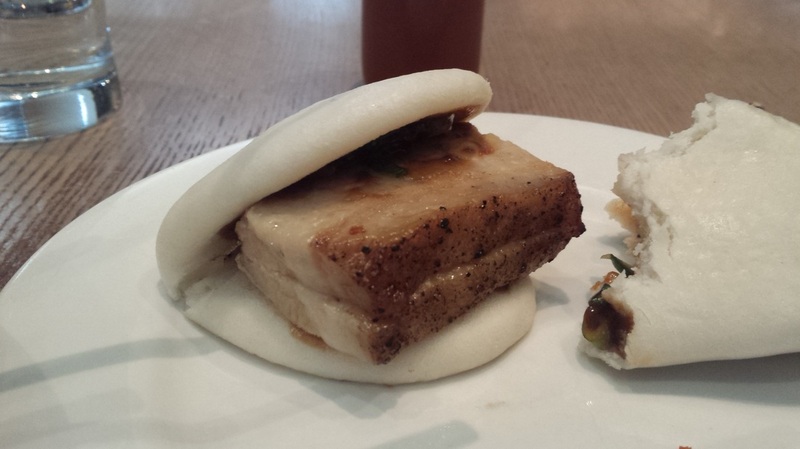 The pork buns were amazing, they were so good, the fat of the pork belly was render nicely and the sliced cucumbers added a nice cooling flavor and some crunch, all served in a folded steamed white bun pancake with a generous squirt of hoisin sauce . I could have eating 3 more orders! The pork buns are amazing! 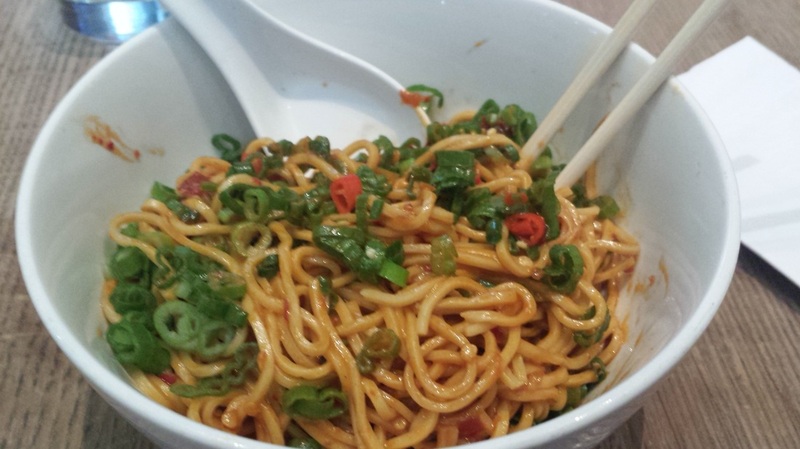 The "extremely spicy noodle", Momofuku's words not mine. 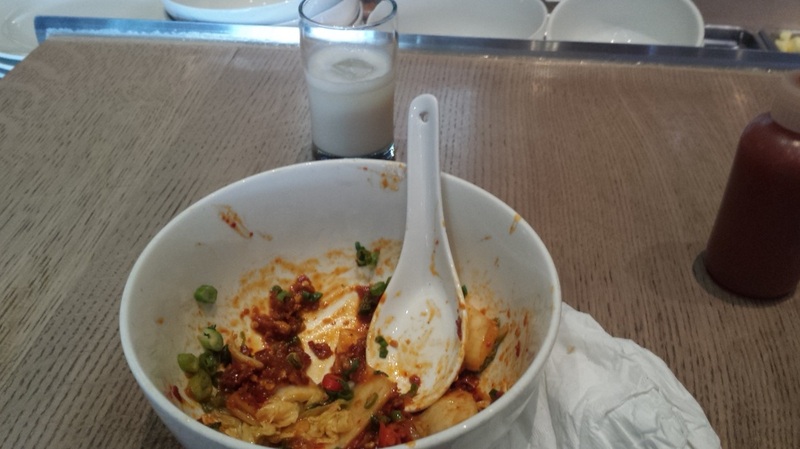 The finished bowl of spicy noodles, as you can see the milk is still all there LOL. It was hot!! 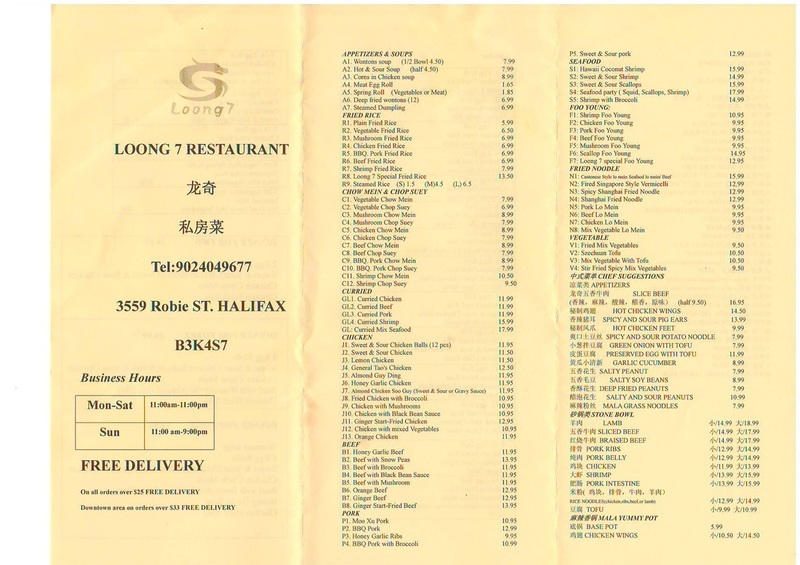 Tried a new Chinese restaurant in North End of Halifax by Cousins Restaurant called Loong 7 Restaurant, I believe they specialize in Northern China food that is typically spicy! Will definitely being going back to this place. 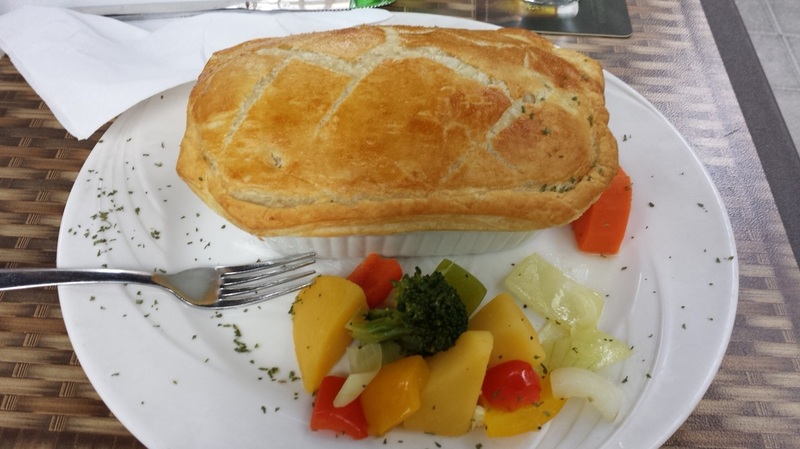 The servers were very helpful and service was prompt. 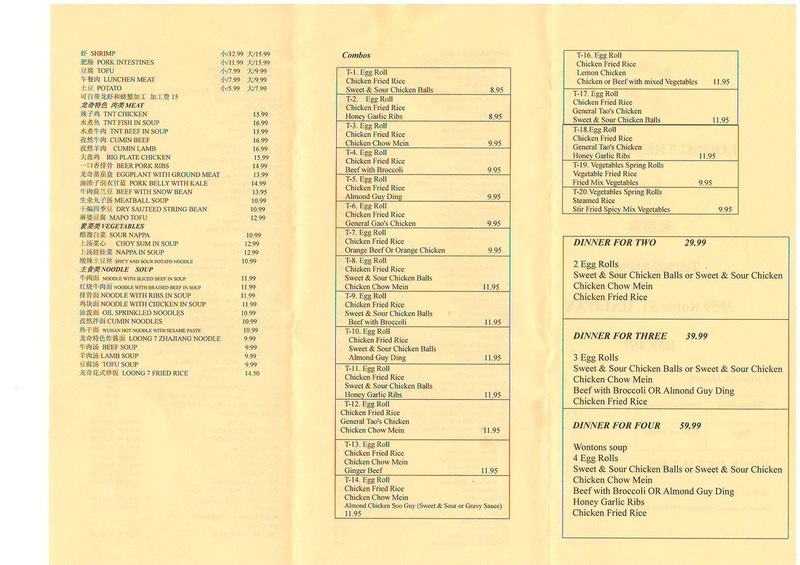 They don't have a website yet but posted below is a copy of their menu. 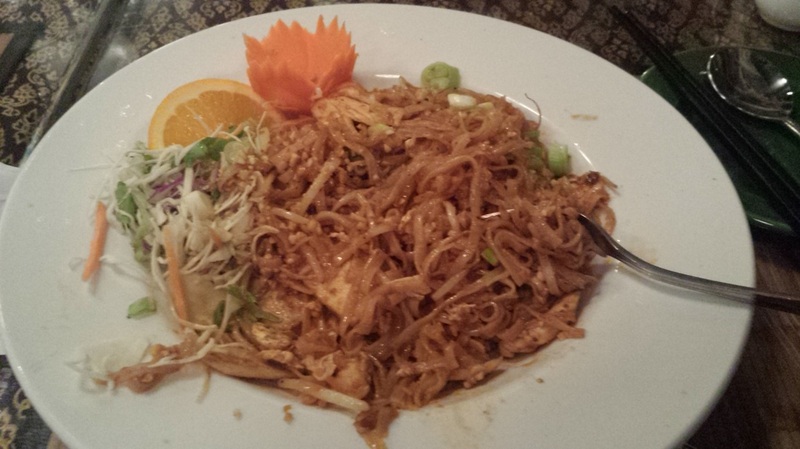 This dish was delicious, spicy and savory! 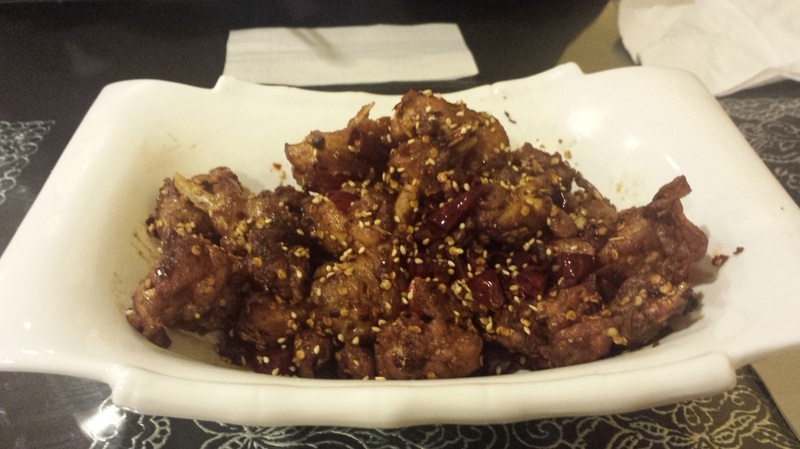 A definite must try for anyone who likes hot food. 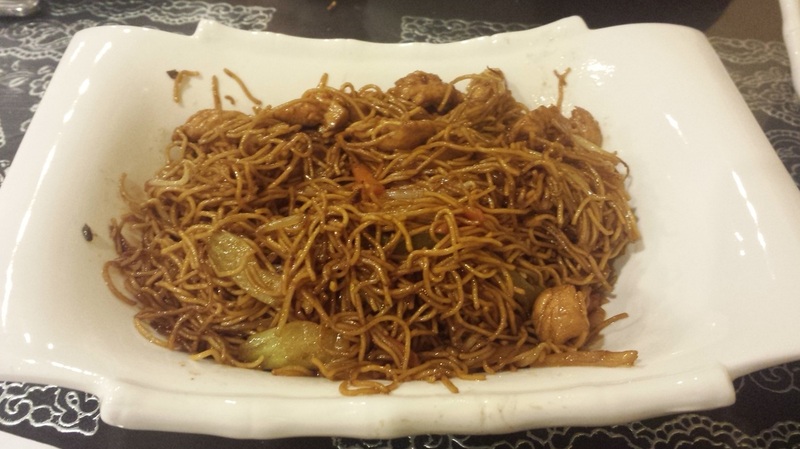 Noodles stir-fried with lots of dark soy and chicken, very good. 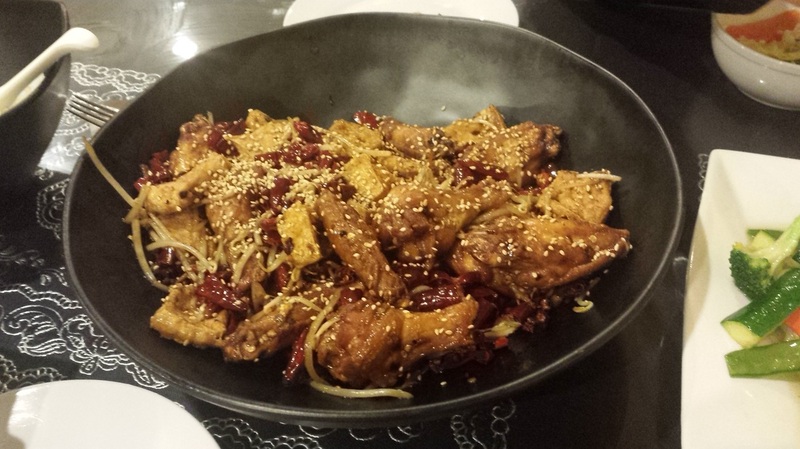 You can order the mala yummy pot with many different items, we opted for chicken wings and deep fried tofu, both were excellent. Another must try item. 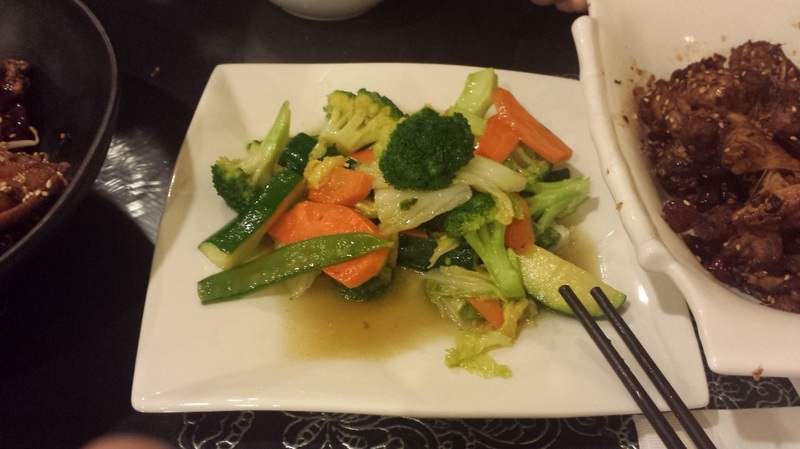 Typical local vegetables stir fried, very good but next time will ask to see if they have any asian greens they can stir fry. 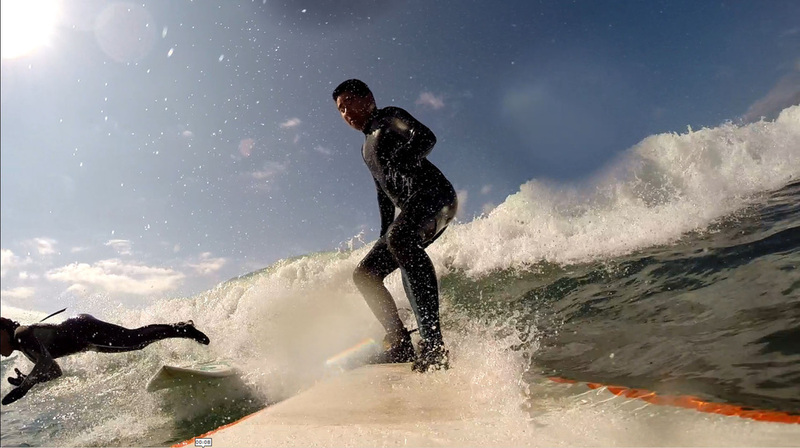 Some cool screen captures from a Gopro3+ while out surfing. 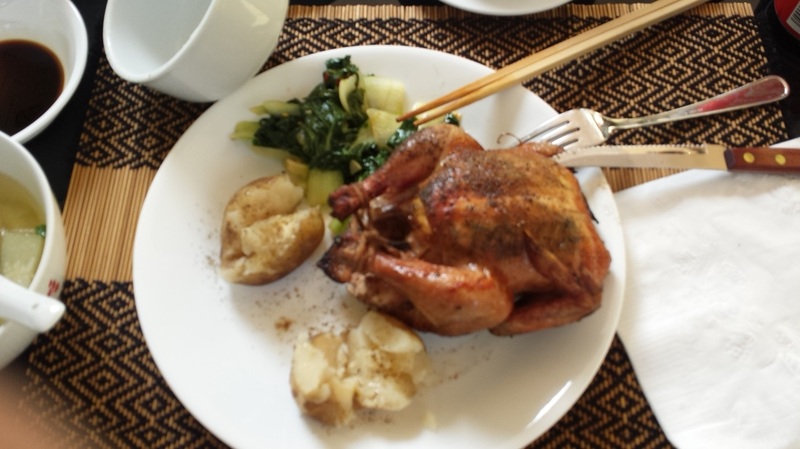 Never tried Cornish hens before, I always thought they were a breed of chicken but they are just baby chickens. 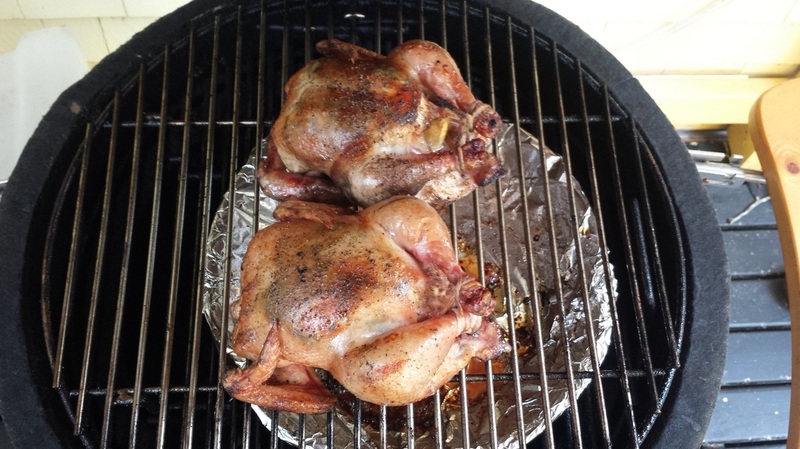 BBQed them on the kamado grill. They were succulent!, loved them! 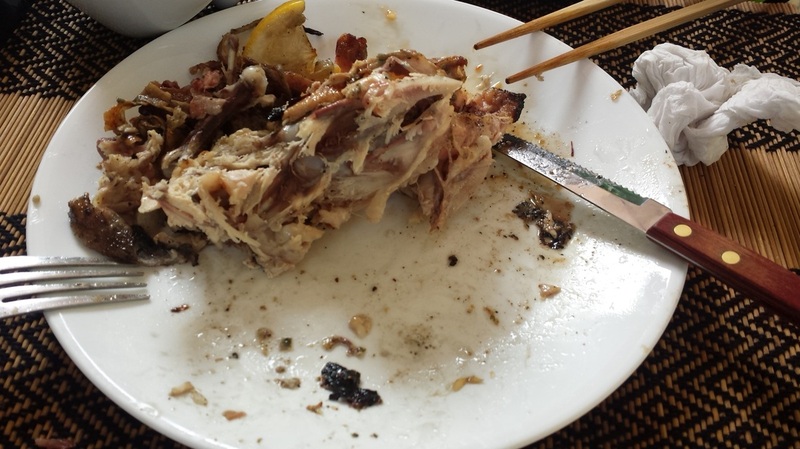 Garlic butter rubbed under the skin with lemon run all over and the piece of lemon stuffed inside. 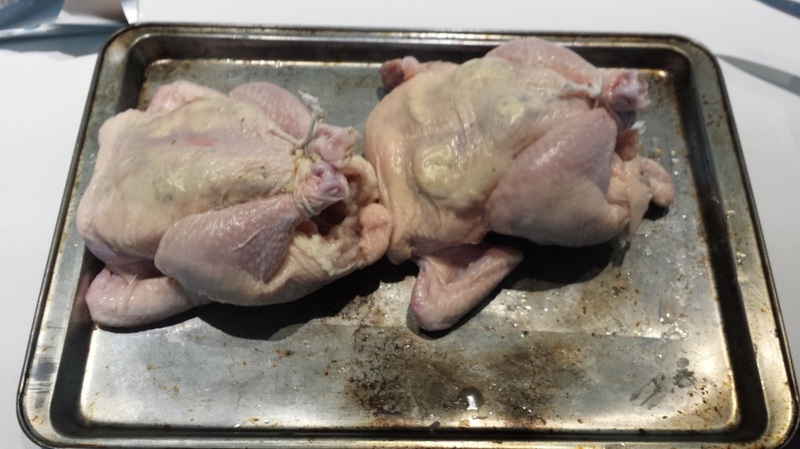 Trussed and ready to hit the grill. 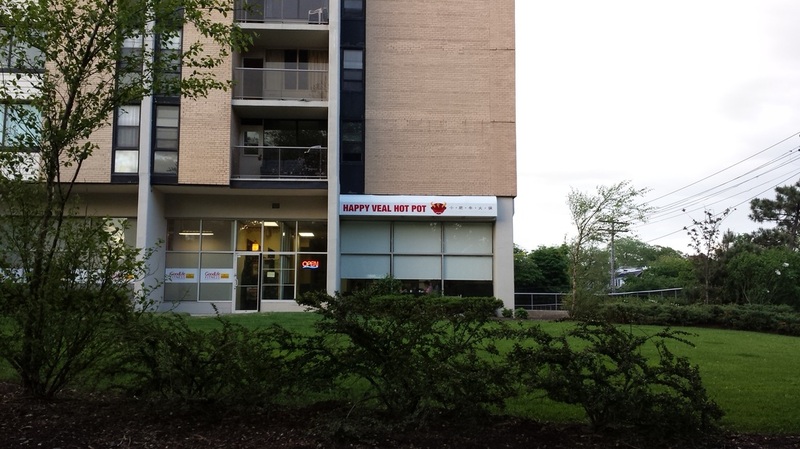 I love the name of this place "Happy Veal Hot Pot". Tried this place after seeing it in The Coast, it got some really good reviews. Something too keep in mind is they have two menus, one is until 3pm which is "a la carte" after that they only do hot pot. 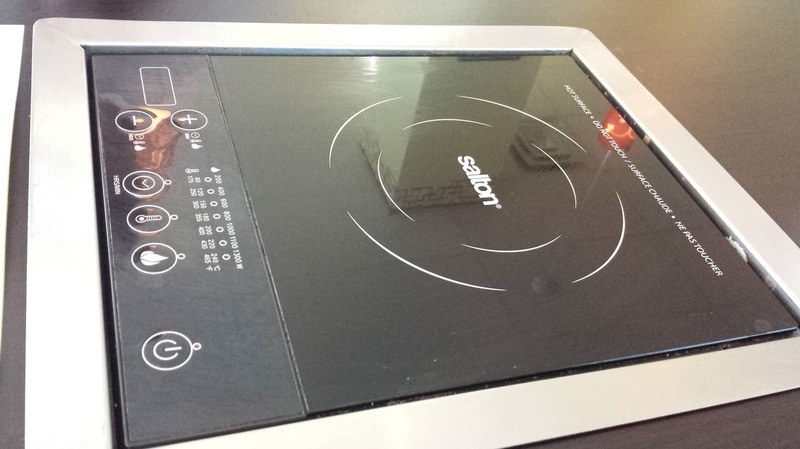 They have a induction cooker embedded in each table and you cook your food in a soup/broth. 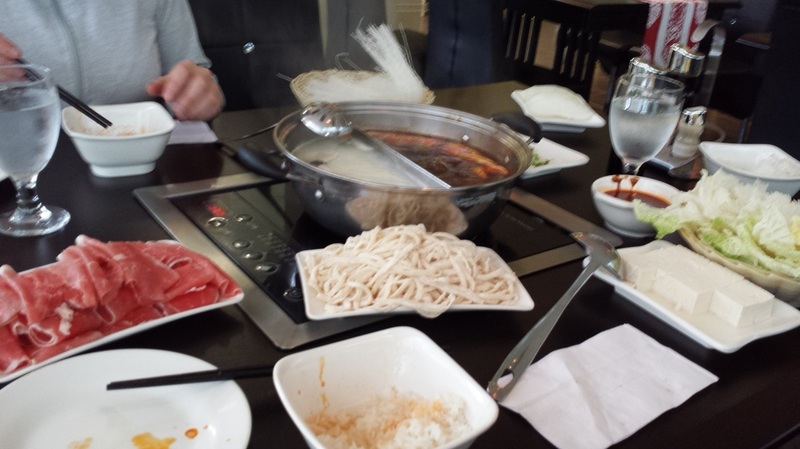 Another name for "hot pot" is fondu for those who have never heard of it. It was a lot of fun and the food and soup base was awesome, this would make a fun communal experience. We got the 1/2 original and 1/2 spicy soup, it comes out in a pot that is split in half, see the pics. They also hand make fresh noodles which were excellent. 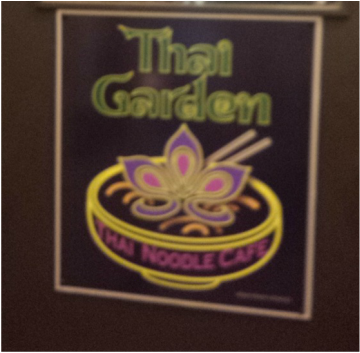 Check off all the items you want to "cook"
While in Ottawa for training, we ate at a place called Thai Garden. I like how they rate their level of hotness on the menu, see the picture. And yes I got the 5 chillies, it was hot! In Ottawa for training, here are some places we ate at. 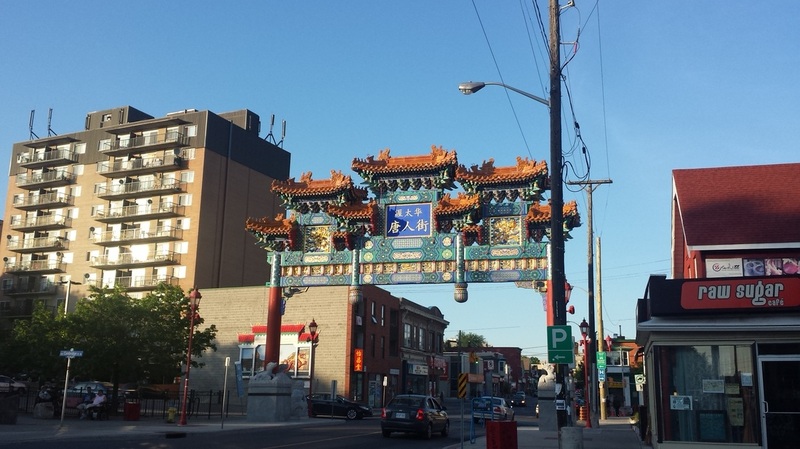 I didn't know that Ottawa had a China Town, ate a nice restaurant called Yangtze Restaurant, 700 Sumerset St.
On Tuesday night we ate at the Royal Oak, this was a tasty chicken pot pie.